Much like the original Pure Envy Sculpting Lipsticks, the Pure Color Envy Shines come in sleek dark blue and gold tubes with a snazzy magnetic closure. However the Shine lipstick does feature a thinner, taller bullet with a flattened tip. 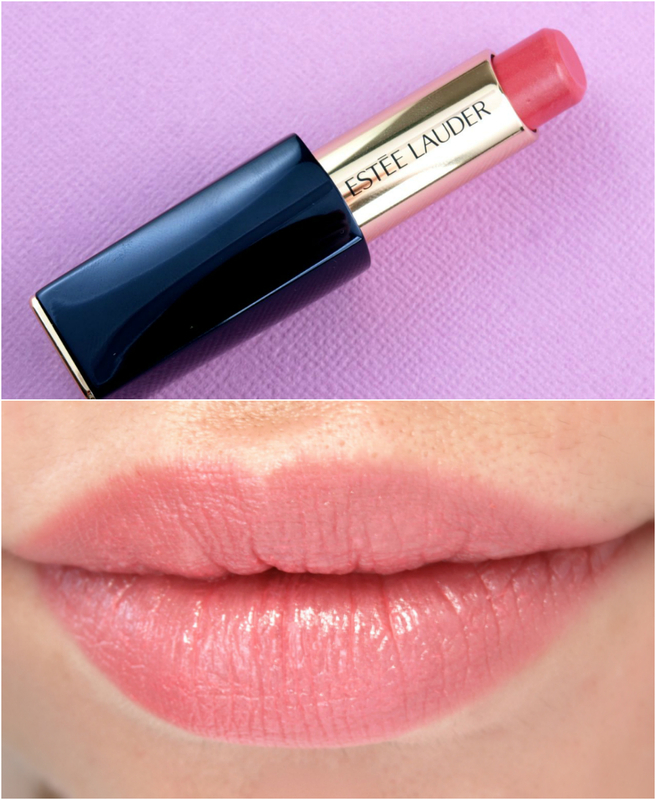 Suggestive is a light coral pink with subtle silver and gold shimmers. The pigmentation is very sheer and I was quite surprised that the finish is not that shiny. It has a nice sheen but definitely not "high-shine". The formulation is very moisturizing and lightweight but the wear time is short, at least for this shade. 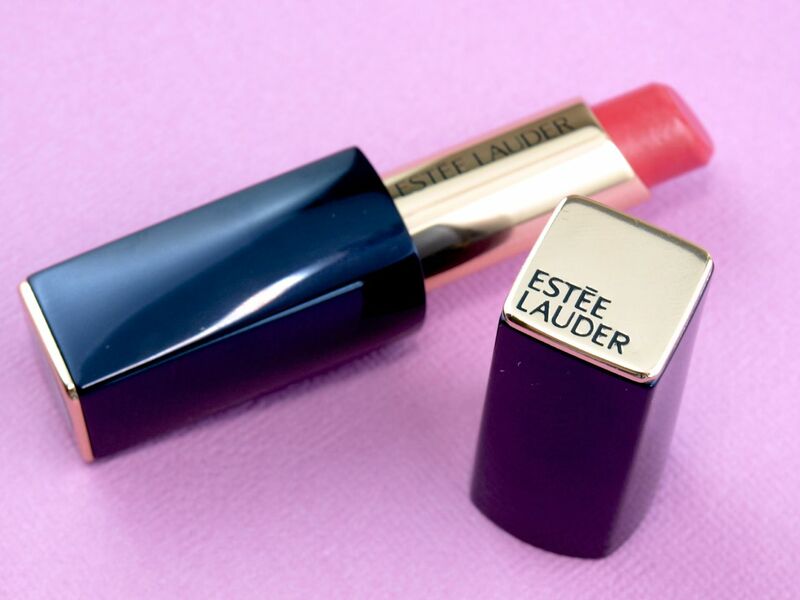 Pure Color Envy Shine Sculpting Lipstick in "Suggestive"
These are moisturizing sheer lipsticks with a natural sheen. 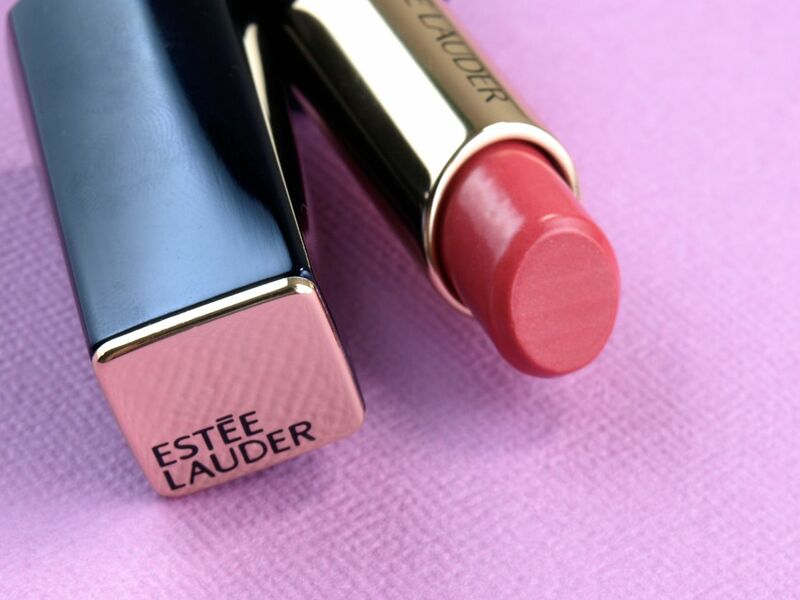 Compared to the original Color Envy Sculpting Lipsticks, which were rich and pigmented, these are quite disappointing but if you are a fan of lightly tinted lip colors, then you may enjoy these.